Timber stairs, stringers and balustrades’ for internal or external use. Merbau is a superior substitute for spotted gum and ironbark, in our climate. Please supply your specifications for a quote. Some thicker tread stock may be available for 60-65mm thick finish- laminated 2 piece. 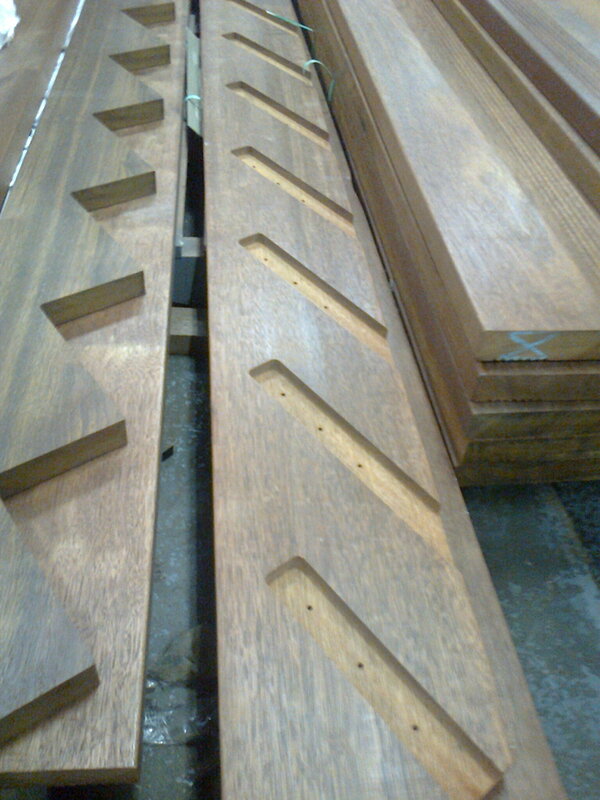 Rosewood is a superior substitute for blackbutt in our climate. Other species are available, but due to the properties of these species, and problems associated we recommend a master craftsman like Gray Hawk from Hawk Designs to take on such commissions. Laminated Vic ash treads, handrail components and stainless steel accessories available at Hammersmith.com.au Solid vic ash or Tas-oak is not available in seasoned solid (from anyone we know) and is too unstable to use in our experience.